Ed. note: Only occasionally are we fortunate enough to find historical material about a pioneer family that gives us in-depth insight into the family and their roots. For this story we gained access to the biography and family profile that Catherine McIntyre McClintock wrote for the grandchildren and great-grandchildren of her father, David G. McIntyre. We edited out anything of a strictly private, personal nature but we marveled at Catherine's ability to evoke the images of family life at the turn of the century and the details about what led up to this remarkable man taking over the Sedro-Woolley Iron Works. Until we researched all the various sources of information, most people were unaware that McIntyre was an accomplished industrialist and civic leader of a major city before coming here, specifically in Superior, Wisconsin. This is just the first chapter in this story, which will follow the family and the company of Skagit Steel from the middle of the 19th century through the 20th century. Many thanks go to Berniece Leaf, David's granddaughter and one of the finest teachers in the history of District 101. She was noted for her innovative methods of bringing history alive to her students and she has faithfully kept many family records, documents and photos. We also thank George Haas, Catherine's grandson, for keeping the documents that she left behind for her progeny and friends after her death in 1977. We hope that readers can provide more material, memories and photos to make this story complete. Other chapters will follow this summer. David G. McIntyre of Skagit Steel and his family By Noel V. Bourasaw, publisher, Skagit River Journal of History & Folklore ©2002 David G. McIntyre crossed the railroad tracks that bisected the old town of Woolley and walked slowly up Puget street with a very broad grin on his face and a twinkle in his green eyes. Clara and the children were waiting for goodnight kisses and a visit from Santa on Christmas eve. This Christmas of 1908 was going to be very merry. His purchase of a large block of Sedro-Woolley Iron Works stock, a move he started in June by buying out the shares of town druggist F.A. Douglass, led to this night's stockholders meeting when he wrapped up one-third ownership in the company. At age 46, David — the son of Scottish immigrants, was well on his way to providing a future opportunity for his son, Sydney, who was already displaying engineering skills as a teenager. And after a six-year stint at farming, David was ready to take a leadership role in the iron and steel business, his original choice for a career 30 years earlier. From Islay, Scotland, to Wisconsin David's paternal ancestors, the MacIntyres, were from Islay, an island with warm, golden sands off the west coast of Scotland, only 36 miles from Ireland. One of David's paternal ancestors was an itinerant preacher who walked a circuit six weeks of the year, preaching the gospel, and he also wrote an autobiography while teaching school. The MacIntyres, along with David's maternal ancestors, the MacNaughtons, were from Scottish Highland families. Several generations back, the MacInytres lived in Argyllshire and the MacNaughtons lived in Perthshire; at some point both families moved to Islay. The "Mc" or "Mac" prefix means "son of" and the "Intyre" is Gaelic for carpenter or mechanic. For an unknown reason the MacIntyres dropped the "a" from Mac after emigrating to the U.S. Catherine McIntyre tried in vain to restore the "a" but lost her lonely battle due to resistance by family, school and bank, none of which shared her feelings. David's parents, Donald (also spelled Donal) MacIntyre II and Jessie MacNaughton married in May 1848 on Islay and emigrated to the U.S., arriving in New York City on Aug. 2, 1850, after a stormy, six-week sea voyage. Jessie — pregnant with Donald III, their second child, was sick all the way. Theirs was hardly a luxury cruise; passengers had to furnish their own food. They stayed briefly in New York state and then headed to Wisconsin where a relative was to take care of the older children while Jessie gave birth, but the relative was dying of cancer when they arrived there. They stayed in Wisconsin for two years near Waukesha and then moved to St Clair county Michigan, where Jessie's brother lived. While the men in the family cleared hand for a one-room log house in what is now the city of North Street, Michigan, Jessie cooked for them all. Several of Jessie's brothers from the MacNaughton family followed from Scotland and moved near them. The immigrants refused to speak Gaelic in America, according to an anonymous family tree, for fear that the children born here would not learn English. The McIntyres did not have a clan of their own but Donald II followed the Campbell clan as he had back home, taking part in all the clan marches and festivities and bringing his treasured plaid and shoe buckles to the U.S. Although Donald used an ox team to clear the original farmland, he soon bought some horses to show that he was a progressive farmer. "Our breakfast every morning was oatmeal porridge and the bible, and the bible every night." David didn't take to farming at all. Barn chores in the heavy snows of winter, driving dairy cows to and from the pasture in all seasons, along with the isolation and the routine fired in him a determination to get away from it as soon as he could. He did speak fondly of the old swimming hole and his all too few years in school. He remembered how he and his brothers often warmed their icy feet in fresh cow patties during the cold peninsula winters. He told her about the one-room village school where teaching was not fancy but thorough. Reading, writing, arithmetic and a smattering of history and geography were the daily fare, without any band, orchestra, sports or cafeteria. Lunch was always cold and students ate it sitting around a big wood stove in a corner of the schoolroom. The biggest legacy of that school, however, was that he acquired study habits that he continued to develop throughout his life and led to his breakthrough decades later. David liked to improvise and invent, even as a young boy with the most primitive of tools. Once when he and his brothers were left at home to plant beans, David worked hours contriving a mechanical planter, with questionable results. He invented a can opener and several other gadgets he thought well of were designed but never patented. In later years, Dad worked with wood, creating his own designs in chairs, desks, tables and fixtures for the McClintock drug store and for his grandchildren. His son Sydney would become an inventor par excellence. 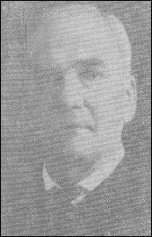 David G. McIntyre became a leader in the 1920s of the Good Roads Movement in Washington State and promoted a North Cross-State Highway for 20 years. He spent much of his early years here in the woods repairing logging equipment and he helped publicize the recreational opportunities of the Skagit river and the North Cascades as part of the promotion. Berniece Leaf photo. Sometime between age 15 and 17 and after completing grade school, David decided to try his luck in Chicago. The Spartan farm life and rigid rearing by his aunt combined with a natural spirit of independence to give him the courage to meet the big city head on and to nose out the place where he was most likely to find work. He and his elder brother James (five years older) made the nearly 300-mile trip together, $110 in savings amassed between them, Dave owning $35 of the fund. Wholly inexperienced in anything but the farm, the brothers had only their experience of hard work to recommend them. David's first job was a car barn where horses were then used to pull streetcars. When motors were installed later on he was advanced to motor man, working with engines instead of horses. Meanwhile his brother found a job in a converting mill which turned iron into steel and both of them continued their education in their off hours, which were few. They took cheap lodgings and continued looking for an industrial concern that would hire them together. Finally, a manager of the Union Iron and Steel Works decided to give the brothers a chance and hired them together. David became an apprentice in the machine shop, where he at once developed a keen interest in the minute operations of the big concern. His brother James began his apprenticeship in a converting mill, which turned iron into steel. We do not know much about James after that point except that in 1903 he wound up being editor of the Hibbing, Minnesota Tribune. Meanwhile, David became an expert foundryman as well as a master mechanic at Union Iron. David studied every phase of the plant, acquiring a practical education and knowledge of machinery that would be the most potent factor in the success of the Skagit steel plant. Sometime in 1884, David switched gears, deciding he wanted to see more of the country and the competing railroad systems that were building transcontinental lines attracted ambitious young men like him. He never told his biographers which line he worked for but we find a hint from his choice of states to settle in — the Dakotas. The Northern Pacific was already building west from Montana toward the Cascade Mountain range in Washington. Behind him was a determined empire builder who chose to build his line more slowly and colonize the wide-open spaces as he moved west. James J. Hill, who started extending his St. Paul & Pacific railroad west from Duluth, Minnesota ten years before, was building a vast network of railroads that he named the St. Paul, Minneapolis & Manitoba, the forerunner of the Great Northern. In 1884 iron tentacles were growing, covering Minnesota, North Dakota and the southern part of Manitoba. David joined a crew of railroad engineers and worked as a telegrapher, at least at first, temporarily putting his apprenticeship behind him. At age 22, David was having the time of his life, working across the Badlands and barren territory that was the link between the industrial centers of the Midwest and the new territories on the West Coast. This was to be the most important moment in his personal life, too, because in the barren wasters of North Dakota he boarded at a village hotel owned by a dashing Swiss named Sam Zingg. Zingg had several daughters, including Clara, who would be David's future wife. She was a serious-minded, intelligent girl, wise beyond her years, a whiz at cooking, and she had a fair start at newspaper reporting, according to daughter Catherine. According to Clara, her life as the daughter of innkeepers went from the heights of luxury and gaiety to the depths of poverty and despair over the years after the Zinggs emigrated from her birthplace of New Hamburg, Ontario, Canada, to North Dakota when she was a girl. They were either on top of the world, riding high, or scraping the prairies for a living, she told her daughter. At times there were parties and pretty clothes, sleigh rides and dances, luxury and money to spare, followed by periods of hard work and poor pay. Samuel Zingg, though small of stature, had a powerful temper. Once, when a bully swaggered into the hotel taproom and became loud and abusive, Sam leaped over the counter, grabbed him by the collar and hoisted him out of the door. In later years, Sam cooled off and in a period of prosperity established a model farm in North Dakota that was a showplace for miles around. Daring, new, elaborate buildings and equipment attracted farmers from afar to consult with Zingg on all phases of agriculture. Sam's wife, Eliza Von Wahn Zingg, a German by birth, was gentle but had an iron constitution and was famous in her family for baking buckwheat cakes and pies. Sometime between 1884-87, when Theodore Roosevelt owned the Medora ranch in North Dakota, trying to build his constitution and body, he stopped at the Zingg house with several companions who had heard of her famous apple pie. Clara remembered the future president as being tired and pale and recalled how he rested under a tree in their yard while she and her mother served them all fresh, hot pies and cold milk. Eliza lived to be 97, harvesting tomatoes from her annual garden a few weeks before her death. We do not know how long David stayed in the Dakotas, but he married Clara Zingg in Superior, Wisconsin, on June 3, 1889, just five months before Washington territory, his future home, became a state. He told an interviewer from Washingtonian magazine in 1929 that he first went to Superior, Wisconsin, in 1884 to erect a blast furnace for Superior Iron & Steel Works. The family and other biographers say that he moved there in 1888. Notably his 1938 obituary in the Mount Vernon Daily Herald said that during his traveling years he lived in several states, including Illinois, and Missouri, then Tennessee, Nebraska, back to Michigan, then to Superior. Whenever he settled there, he became a leading citizen of the town while still in his 20s. In those days of spirited and fierce elections for councilman, he was elected and served several terms during which time he was responsible for organizing the local five-man fire department and for paving the streets and installing sidewalks in his 95th Ward. 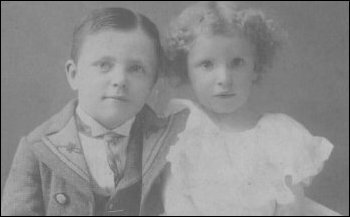 The McIntyres' first child, Albert Donald, was born on April 28, 1890, and two years later, another boy, Sydney Stuart (often spelled as Sidney) was born on July 5, 1892, as David became a noted citizen by his 30th birthday. 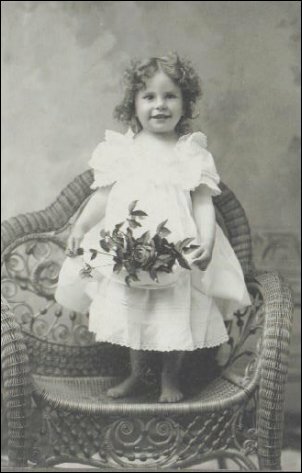 Four years later, their first daughter, Marjorie Evelyn, was born on August 6, 1896. We do not know if David stayed with Iron Works for that whole time, but he might have stayed there and become one of the city's industrial leaders, had it not been for the family tragedy of Nov. 15, 1899. Albert came down with typhoid pneumonia and just three days later, he died. That event changed David's life markedly. Over the next two years, he paid close attention to the reports of young men who moved West. His wife agreed that they needed to move away from the place of their most intense sadness so far. Go West, young family There is some dispute about when they moved West. All his biographies say that the year was 1902 but Catherine wrote that, after selling their house in 1901, he bundled up his young family of Sydney, Marjorie and baby Berniece and they left the Midwest by an unnamed train with a huge hamper of food and suitcases. Their cherished furniture, including the piano, a bookcase, mahogany settee and chairs would follow as freight. The family consisted of Sydney Stuart, age eight, Marjorie Evelyn, four; and a baby who had brightened their lives — Bernice Clare (also spelled Berniece), when she arrived on New Year's Day, 1901. Sydney and Marjorie McIntyre, early 1900s. Berniece Leaf photo. Their destination was Port Angeles, Washington, but we do not know why they moved there or how he heard of the town. After several days in a hotel, they found a house to rent while David explored the area for a permanent home. He hiked all over the heavily forested, rain-soaked Olympic Peninsula with several other men. Many town sites opened their arms to entrepreneurs like him, but none on the Peninsula appealed to him. Hearing of spirited business activity in the Puget sound area, he shifted his attention to the area from Olympia to the Canadian border and finally found four months later a 40-acre plot of land at Sterling in Skagit county that was to his liking. It was the site of an old abandoned sawmill near where pioneer Alonzo Salathial Collins settled in 1889 and the crude county road that ran in front of the farm was named for Collins. That acreage may have been the Mitchell mill, described in John Conrad's obituary of Susan Collins Blackburn as being next door to their homestead. The property was filled with old bridge timbers and salvage material, for which there was a ready market locally. The boy who tried to get away from his childhood farm was now a 39-year-old man who cleared land and planted crops three miles west of thriving Sedro-Woolley. Baby Berniece McIntyre 1902, Berniece Leaf's namesake. Building a home and clearing land was a real task of pioneering and Mr. McIntyre played the lead role as provider, carpenter, land clearer and farmer. Over the next few months, the land was cleared and stumps were yanked, buildings were erected and by the next summer, once David thought the new house was ready, he sent for his family who had stayed in Port Angeles. The two-story house was soon full of their furniture from back in the Midwest plus David's inventions. Clara was especially pleased with a shining, new Round Oak range in the kitchen and she soon set about baking, a skill she learned well from her mother. 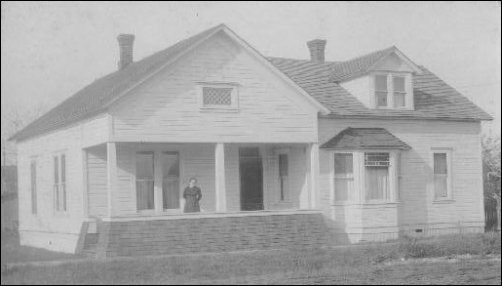 Then on April 19, 1903, Dr. Menzo B. Mattice made a mad dash from Sedro-Woolley to the farm in his one-horse rig to deliver the last of the McIntyre children, baby Catherine, who would grow up to be the biographer of many of their pioneer neighbors. She described herself as a blue baby, weighing little more than three pounds. Since they did not have an incubator, she was kept in a shoe box behind the range on cold fall and winter nights. 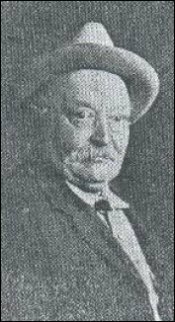 John Anderson, founder of Sedro-Woolley Iron Works. During the time while he waited to send for his family, David occasionally walked along the Seattle & Northern [S&N] railroad tracks into town and was a close observer of the booming prosperity of Sedro-Woolley, the result of the merger of the two pioneer towns just three years before. Sometime in 1901 he met John G. Anderson, who opened a small blacksmith in the back of the Fritsch Brothers Hardware store. 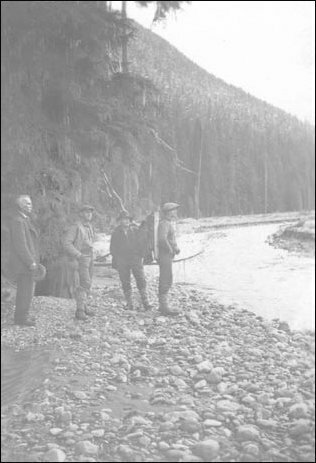 Even though Anderson opened the small shop to serve only as adjunct to his established shop and foundry down south at Marysville in Snohomish county, he saw the possibilities of expanding to provide repairs for the dozens of logging camps and mills in the surrounding 20-mile radius, as well as for the S&N line, which was building east from Hamilton to the foothills of the Cascades. The story of how David aligned with Anderson will be covered in chapter two. 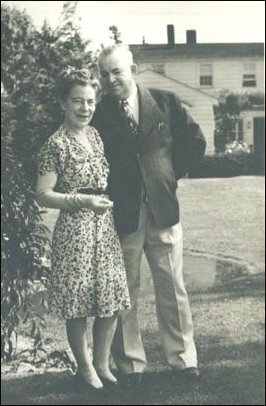 Catherine McIntyre and her husband, Wyman McClintock, circa 1940s. George Haas photo. The house that papa built had a front room with our piano and a bookcase full of books, a mahogany love seat upholstered in blue plush with two matching chairs, a beautiful double-globe kerosene lamp of green glass with pink and red roses and gold trimming, and a wall-to-wall carpet covered with flowers. There was a dining room with a bedroom opening from it and across the back of the back of the house was a large kitchen. The huge Round Oak range dominated the kitchen and the entire household with its six lids, a warming oven, a baking oven and a five-gallon reservoir at one end for hot water. There was a stairway at one end of the kitchen that led to bedrooms upstairs and the attic where apples and vegetables and nuts were kept during the winter. In back of the kitchen, extending the width of the house, was a spacious open porch. Stored on the back porch was the laundry equipment, comprised of a hand pump, a copper wash boiler, some big galvanized iron tubs and a hand wringer, a pile of wood for the stoves, milk buckets and the business end of a clothesline pulley. When I was three we moved to Sedro-Woolley to be closer to papa's work. We lived first in a tall, white house on Reed street close to the Great Northern railroad. It had an open stairway in the front room with a slick banister for sliding down and a newel post at the end for a stopper. My sister Marjorie took music lessons by the hour. I still see her sitting at the piano, gold-rimmed glasses on her nose and an intent look on her face. I also remember my mother playing the piano in the late afternoon and my belief that her music brought papa home from work each night. She also remembered the family's sadness on different occasions — when three little black and white kittens, one for each of the girls, were killed at the same time by the train; the terrible hush when Marjorie had pneumonia and waiting for the crisis to come and go; and when Catherine had the measles and counted the roses in the wallpaper as she spent hours in bed. McIntyre house on Puget street. Berniece Leaf photo. The house we lived in next was the best of all, on Puget avenue. It had eight rooms downstairs and two upstairs, lots of cubbyholes, big porches and a yard full of marvelous cherry trees — Royal Annes, Black Republicans and sour ones for pie; two plum trees and a crabapple tree, currant and gooseberry bushes, a kitchen garden and a front lawn for croquet and mumblety-peg. A woodshed, a workshop and an airy outhouse were grouped at the rear, and beyond them and the back fence was a wooded area flanked by a wide ditch where we poled rafts when the water was deep enough. Ceilings in this house were 12 feet high. For heat we had the big old range in the kitchen and two wood circulating stoves, one in the dining room, the other in the living room. One fall when mother was expecting relatives from the east, she decided to redecorate and kalsomine the living room walls and ceiling. 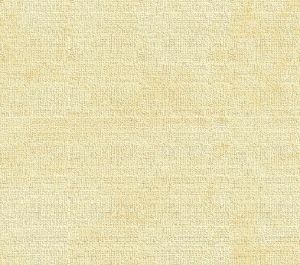 The result was a beautiful, light and airy room with the ceiling and side-walls painted cream color and below that and all around a soft shade of green now called avocado, satin smooth with not a brush stroke showing. Someone suggested starting a fire in the heater to take the chill off the room, but that led to calamity in the morning. Cries and lamentation! There on that pristine surface, from ceiling to floor, an ugly black streak of creosote and soot that emanates from a wood stove, a cruel blot that could neither be removed nor hidden and one that remained for months as a mockery of mother's industry and pride. A cubbyhole in the wall on the first stair landing held collections of old magazines, Ladies Home Journals, Saturday evening Posts, National Geographics, Scribners, Delineators, Christian Heralds and various library discards. On rainy days I browsed among those, often finding the best stories of all. Down a short hall from the kitchen was a large pantry with counters and ceiling-high shelves for jars of fruit and pickles, canned goods and china. Tin containers as large as oil drums held flour and sugar in 100-pound lots, rolled oats in 50-pound, and there were five-gallon crocks of cherries, lives, spicy prune pickles, crabapple pickles and beet pickles. From the ceiling a couple of hams were hung in the coldest corner and there was always a large slab of bacon and caches of walnuts, raisins, doughnuts and cookies, which mother tried to hide from her marauding band. The kitchen here, as at Sterling, held the big, wonderful range with warming oven and shelves, reservoir and cavernous oven, and nickel-plated handrail across the front. The fire was kept going every day, even in summer, as it was the only means of providing hot water or hot food for that matter. Laying the fire at night was a ritual performed by papa. First he checked to see that there no live coals. Then, selecting a piece of smooth grained wood which he propped between his chest and the edge of the stove, he whittled a stack of long, thin shavings. These he arranged neatly in the firebox and on top he carefully placed several sticks of dry wood. In the morning, all that was needed was a match to set the fire roaring and it worked without fail. As the hub of the house, the range was all-important. How cozy, on cold winter mornings, to have breakfast on the table in front of the range and to feel its warm hand on your back or to sit with your feet in its spacious oven. On wash day it heated the big copper boiler and cooked the New England boiled dinner that I detested. On Tuesdays, it hosted a clutch of six or seven irons, and every day it provided us with an abundance of hot water. Next in importance was the dining room with its solid oak table and matching chairs for our family of six, and that could be expanded to accommodate 16 or 18. Suspended above it was a truly beautiful Tiffany lamp that shed a lovely light whether we were dining or using the table for our schoolwork. Around the circulating wood heather that stood in one corner there was ample room for mother's rockers and chairs or stools for children to sit on while she read from The Wizard of Oz, Pollyanna, Lamb's Tales from Shakespeare, Oliver Twist, The Old Curiosity Shop, and selected articles from current magazines. Although we ate breakfast in the kitchen, dinner and supper were served properly in the dining room on snowy white linen set with good china and polished silver. At the head of the table sat papa who did the carving and serving. He also directed the conversation, keeping it on a polite level, touching on world affairs, politics and local happenings, but not gossip or badinage. Out in the back was a chicken yard full of fat Plymouth Rock hens ruled by an even fatter rooster of the same ilk. I became father's little step-and-fetch-it helper in his shop. One of the first things he taught me was to put back in place immediately any tool that I used, a rule I still practice. Papa made a leather harness for my dog Colonel and fixed a "Flyer Express" wagon with shafts for him to pull. I carted groceries in that wagon and Colonel, a variegated shepherd, was the first of a continuing series of beloved pets, including white rats with pink eyes, garter snakes, a rooster that ended up as a roast for sudden, unexpected dinner guests, Muscovy ducks, peacocks, a goat, three horses, some geese, pigs, cows and many more. Because of his erect bearing, my father appeared taller than his modest five-foot-seven. His head, well-set on broad, thick shoulders, was large enough to accommodate big ears and a craggy nose. His large expressive eyes, sometimes grey-green, other times grey-blue, were set far apart under shaggy gray brows, almost thick enough to braid. They were lively eyes, attentive, warm and kind, though they could turn cold and hard in anger. A thin fuzz of steel-gray hair kept papa's pate from shining and he kept the fuzz growing by massaging it with Vaseline. His ruddy face was clean shaven; he always used a straight-edge razor. Instead of barbering himself in the bathroom he would come into the warm kitchen to be with us for company while, without benefit of a mirror, he would walk around or stand near the stove stroking off his whiskers with that vicious weapon as casually as if it were a butter knife. Come back this summer and we will have Chapter Two about David G. McIntyre's takeover of the Sedro-Woolley Iron Works and his leadership in the community, along with the impact of his family on the Skagit river area. In the meantime, you can read a 1929 article from Washingtonian magazine about the family and company, in two chapters.